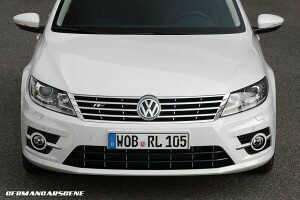 Volkswagen is set to reveal the R-Line version of its pretty CC four-door Coupe at next month’s motor show in Leipzig. 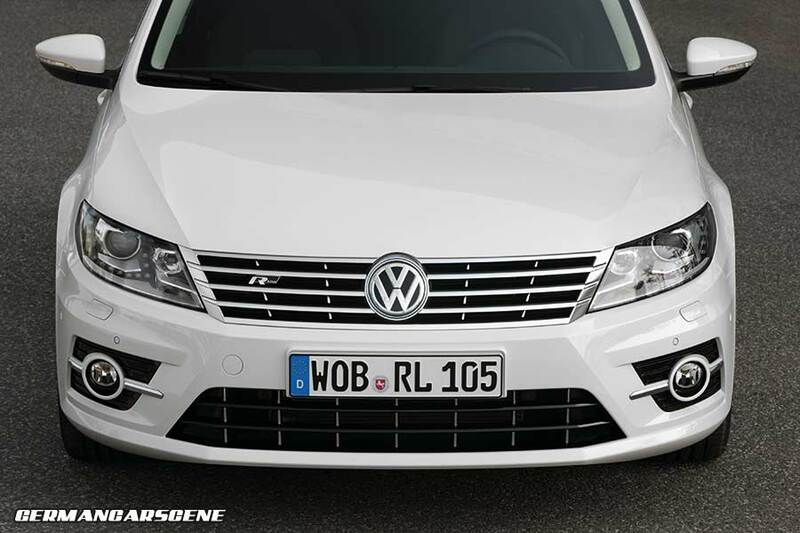 Compared with the Sport model, the CC model benefits from upgrades similar to the Passat R-Line, including a more aggressive front bumper featuring chrome detailing, a large air intake and projector-style foglights, side skirts and R-Line badging. The ‘Mallory’ alloy wheels are 18-inches in diameter, while around the rear there’s a pair of tinted tail-lights. Moving inside the cabin, there are stainless-steel scuff plates and a multifunction steering wheel with flappy paddles for models specified with DSG gearbox. Standard equipment includes Bi-Xenon headlights with LED Daytime Running Lights, LED tail-lights, automatic climate-control, heated power front seats, Bluetooth connectivity, the Premium VIII sound system with HD Radio, a six-disc CD changer and eight speakers. 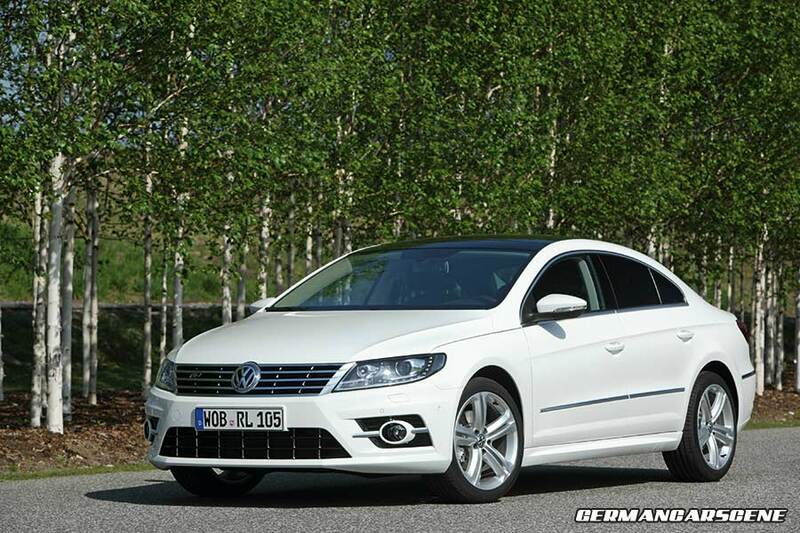 The CC R-Line hits U.S. showrooms at the end of 2012, powered by a 149 kW (200 hp) 2-litre turbocharged TSI engine, and will be available with either a six-speed manual or a six-speed DSG (Direct Shift Gearbox) dual-clutch automatic transmission.